NJ Locksmith and Door Service Company is the leading Residential, Commercial and Aluminum Storefront Door Repair Service in the Hudson, Bergen & Essex Counties. 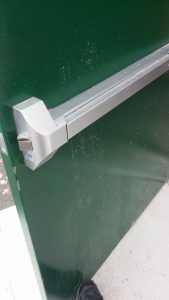 NJ Locksmith and Door Service Company can professionally service, repair and install Aluminum storefront doors and Aluminum storefront door hardware. We stock a wide range of door hardware. We Service and Repair Home & Commercial Doors. We are your residential, commercial and car locksmith service company. 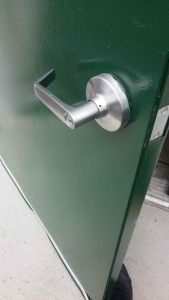 We can repair and install locks, dead bolts, doors, door closers, hinges, pivots and all door hardware on your Aluminum Storefront, Steel, Glass and Wood Doors. Our automotive division CarKeyPros.com is also specialized in High Security Car Transponder Chip Keys and Keyless remotes. Storefront door pivots, full surface hinges, jet hinges, door closers, storefront door locks all associated storefront door hardware. If you are having door problems call us for fast service we are the problem solvers. We work closely with commercial and residential property managers to solve all their door, lock, and door hardware needs. We can service any NJ Aluminium store front door providing professional service you can count on. Virtual Pick and Bump resistance, Hardened steel makes them virtually drill resistant, Built-in key control, requiring special Medeco keys that need to be cut by a trained professional locksmith. NJ Locksmith and Door Service Company is your high security lock expert.